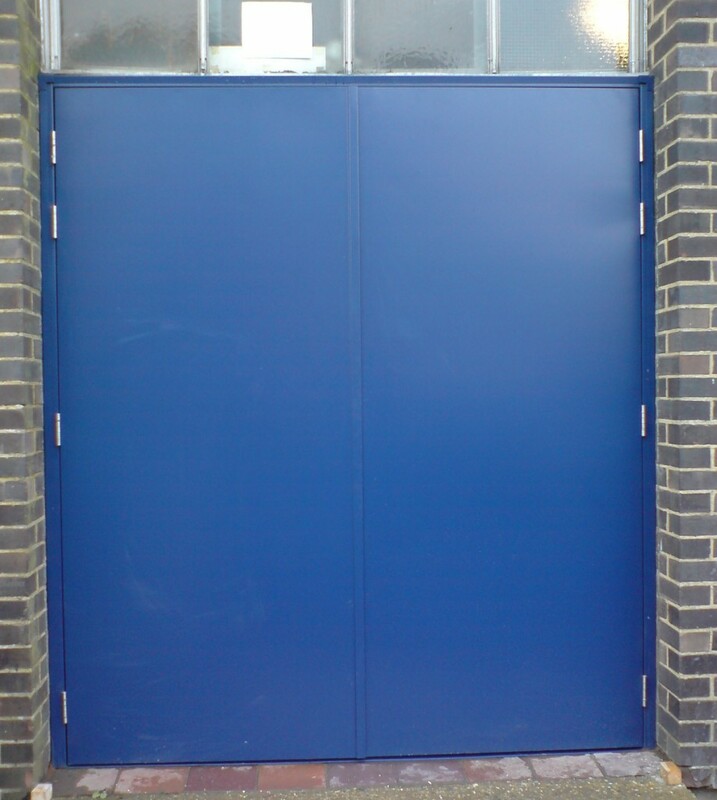 Are you in Kent, London, Sussex or Surrey and looking for Steel Personnel Doors which provides superior security? 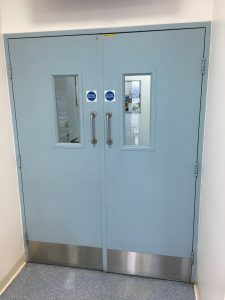 Steel Personnel Doors are strong and durable and resistance to break in attempts and enhanced fire protection if required. 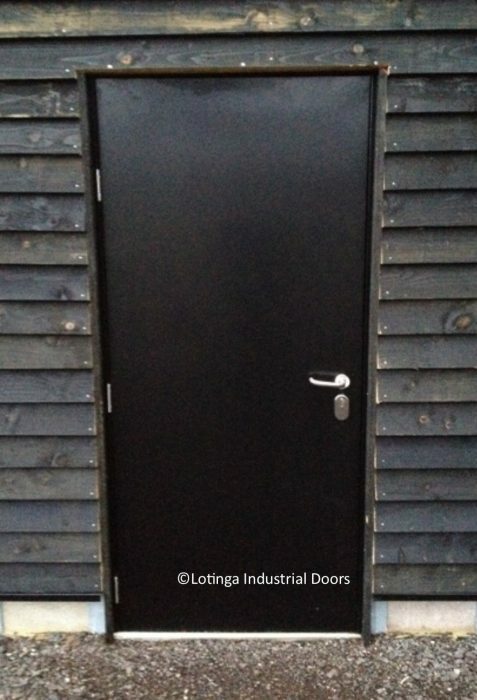 We pride ourselves on our approachability and believe in going that extra mile to provide all the information you need to make an informed choice on the type of steel door which would be more suitable for you. The security of your premises and the reliability of your steel doors is our priority. It is a testiment to the quality of the service we provide that we have maintained some very renowned, long standing customers for many years. 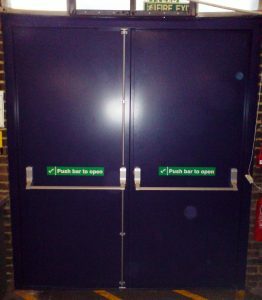 Built to order and ideal for internal or external use, Steel Personnel Doors can be fire rated and flood proof. Single Steel Door : 900mm wide x 2100mm high ~ Double Steel Door : 1800mm wide x 2100mm high. Other bespoke sizes are ordered on request. 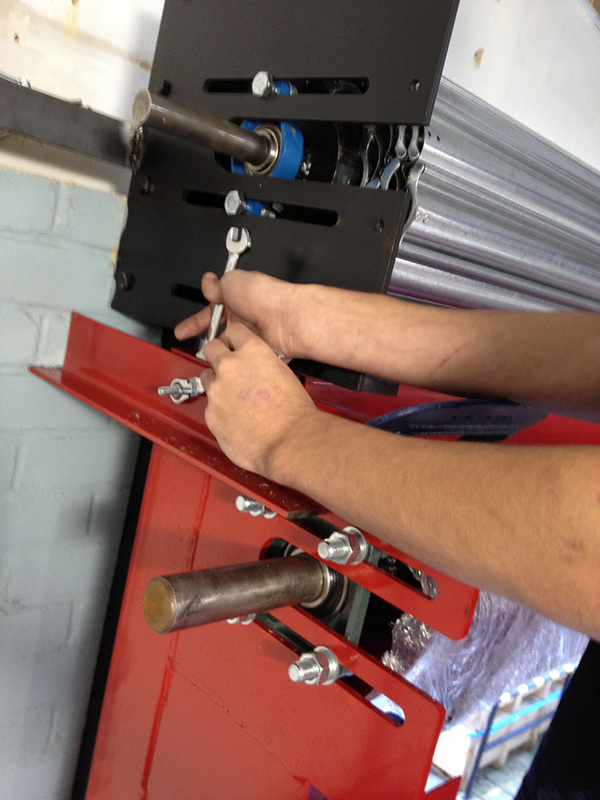 Do you need an opening made or altered to accommodate your steel personnel doors? 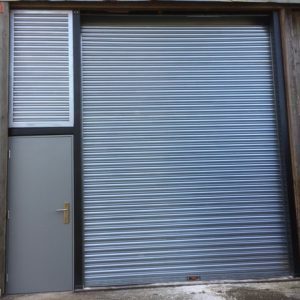 Wicket Gates are an option for personnel access into a building, however these can sometimes be a little awkward for some customers to operate, so we will also encourage whereever possible to have Steel Personnel Doors installed next to a shutter as a more convenient solution. As Steel Fabrication Specialists, we can do this for you. Contact us for your no-obligation quotation. We have over 20 years experience providing a Specialist Service; from Professional Advice, to a full Site Survey and Installation and an After Care Package offering Discounts on Annual Servicing and Repairs. 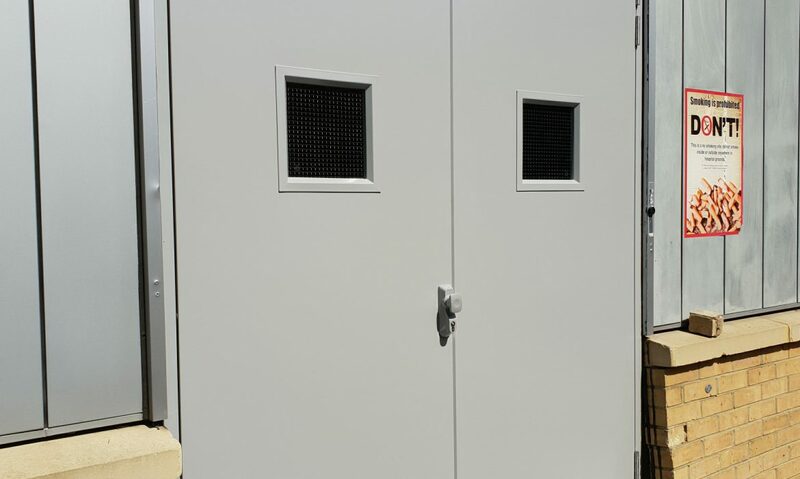 Check out this Project featuring a steel personnel door set.